According to industry data, a full size, par 72 golf course requires about 120-200 acres and costs more than $500,000 a year to maintain. At Lanmark Designs, we specialize in designing courses to fit in much smaller areas with maintenance costs that are a fraction of those associated with traditional courses. 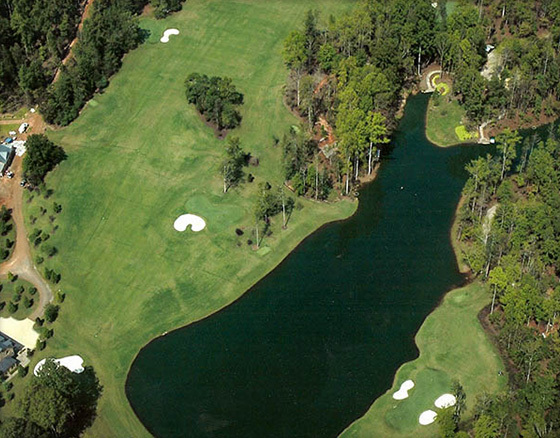 For clients with large estates, we can develop entire backyard courses by strategically placing tee boxes and greens and using them on multiple holes. 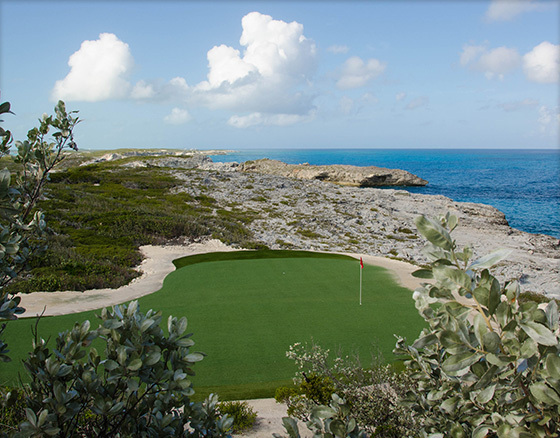 This 18-hole, par 68 course features 5 synthetic grass putting greens, 9 synthetic grass tee boxes and plays at 5,200 yards. Lanmark Designs can even outfit small spaces with chip and putt courses by placing a variety of hitting areas around a Tour Greens putting green. 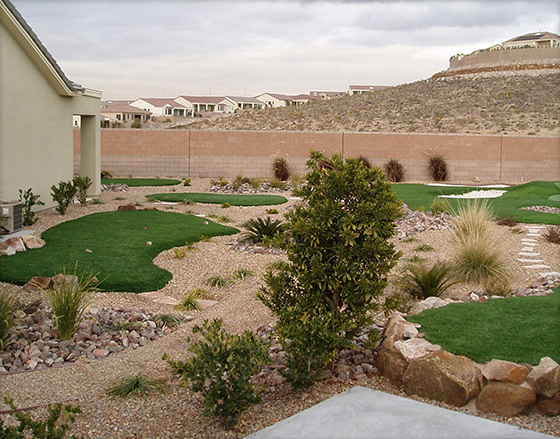 The synthetic grass greens require no water and very little maintenance so owners can spend their time practicing their golf game, not becoming groundskeepers.